This panel shows four flocks of sheep grazing. 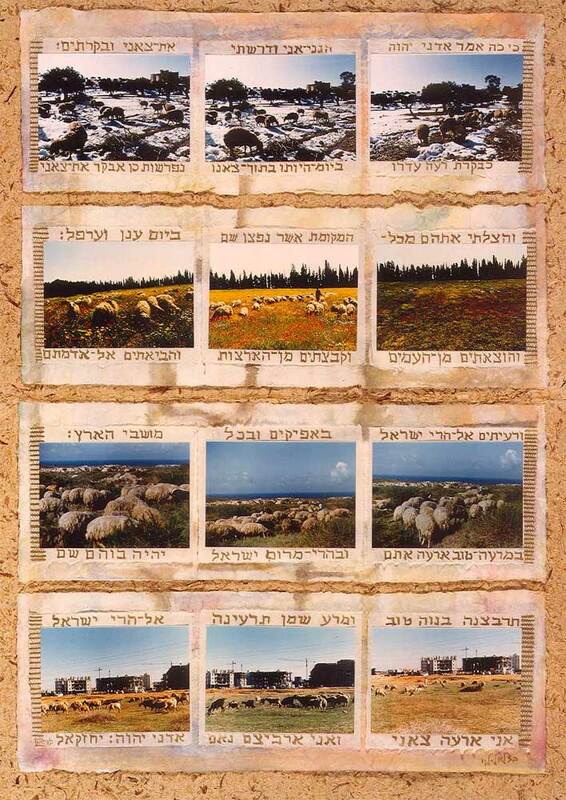 The top row is Jerusalem, near Bethleham. The second row is near Hadera, in the middle of the country, called the Coastal Plain. The third row is by the Mediterranean. The bottom row is in the middle of Ashkelon, in front of the city hall.